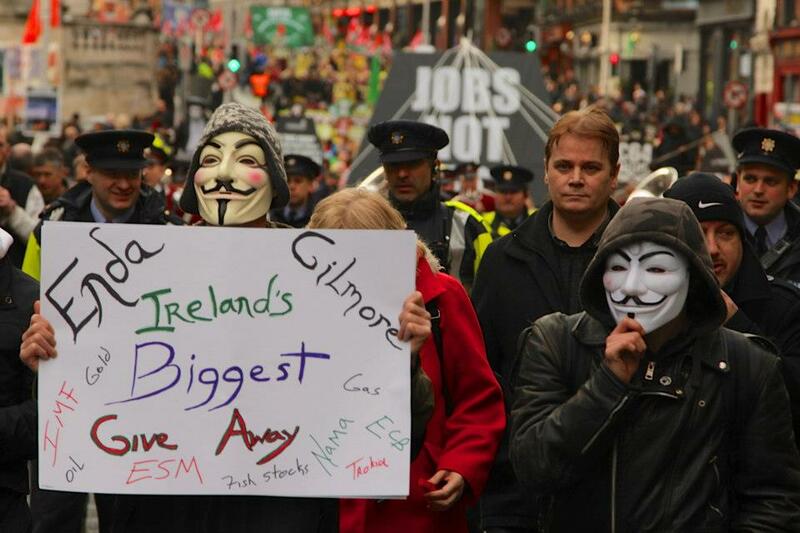 100, 000+ Thousand March Against Austerity Ireland. 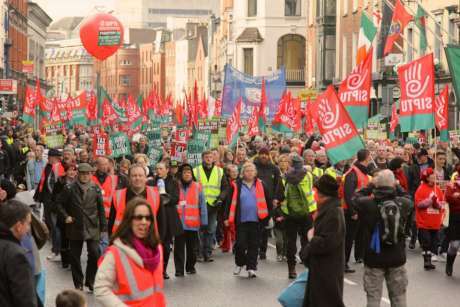 Unions, which organized the rallies, claimed more than 100,000 people attended, with 60,000 marching in Dublin. 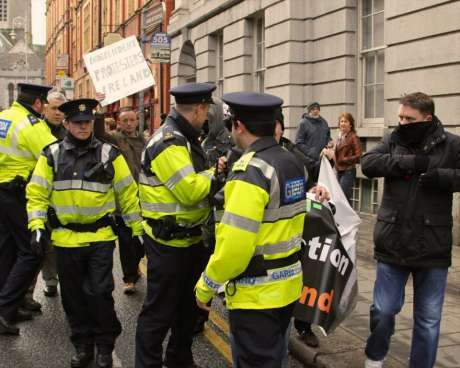 Demonstrators also protested in Cork, Galway, Limerick, Sligo and Waterford. "It would be fatal for people to believe this issue is now resolved and we can all move on," David Begg a supposed Union leader said. "At the onset of the crisis Ireland had one of the lowest debt to GDP ratios in Europe. The difference between then and now is due entirely to Ireland socializing bank debt at the behest of the ECB, to save the European banking system." When we got to Cooke Street it was quarter past two having parked up in Thomas Street. Cooke Street was still packed with marchers end to end, AGSI lining up at the Christchurch end, Sinn Fein in the middle and the Communist Party of Ireland with a load of Belfast Trades who'd been decent enough to come down at the St Audoen's end. So me and. Y kids marched with the AGSI figuring if any hassle started that was likely the safest place to be. And because my family's got a load of guards past and present. In fact walking down by Dublin Castle I met my cousin who's a detective wearing his blue AGSI vest and I said to him "Yer grandad would be proud of ya" and he said "tis the first protest Ive attended without being paid to" and I said something like "Never too late to mend yer ways" and we had a laugh and a chat all down Dame Street. Very well mannered crowds the COPter overhead had nothing to report save overly conservative estimates as to numbers. If they'd kicked off at 1330 and were still leaving Cooke Street an hour later and were marching anything up to ten and twelve abreast someone do the math. Ended up in Merrion Square and the Union poobahs were making their speeches and I decided I'd heard what they had to say five years ago the last time or maybe four the last time Id been on a Mach like this. It Eas just as good tempered then too. Asides from the occasional Trot in Army Bargains surplus shouting at street corners about the property tax and the need for a national strike to show EUrope who's boss I saw no real anger. Reasonableness yes. Annoyance yes. Worry yes. No anger though. Wonder how long that'll last hopefully awhile yet. Wonder will AGSI great people for all they do to keep us safe will march again when things are less even tempered. If things are less even tempered I hope. My mother was at the Dublin protest and she reckoned there were around 50,000 people there. 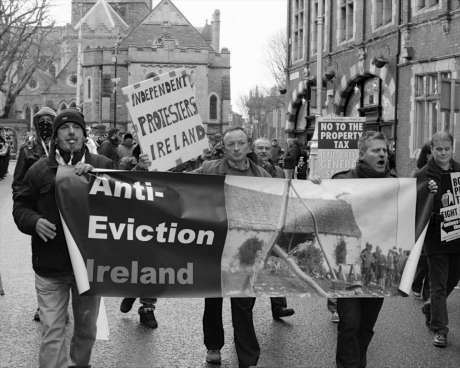 When the first protesters arrived at Merrion Square her group had not even left Cook St. and they were not the last group either. She also felt the RTE coverage didn't give anything like an accurate picture of the amount of people there, in fact she was pretty disgusted with it. I thought protest meant riots.... when did the meaning of protests change!!!! As for David Begg and the leaders of the Unions, you only have to check their salarys to know that they are not their for you, if you want to protest give up your union memebership and start your own amongst yourselves that has proper morals, for example the leadership cannot earn over the average industrial wage, and also is not allow to take salaries from multliple board memeberships like Begg has, sure he is complicit in the mess we are in. Hanger on society we have!!!! its so depressing, thats why there are no new ideas!!! Sinn Féin respresentatives and activists were out in force to support ICTU’s anti-austerity rally today in Dublin. “We in Sinn Féin are proud to have supported ICTU’s ‘lift the burden’ rally today in Dublin. 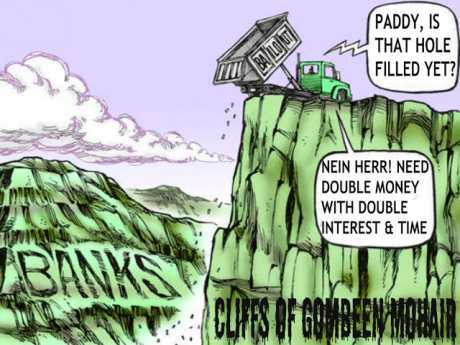 “This week the government had an historic opportunity to secure a real reduction in the cost of the toxic banking debt foisted on the people by Fianna Fáil. Not only have Fine Gael and Labour wasted that opportunity, they have increased the cost of that burden for decades to come. “The so-called deal will mean nothing to the families who are struggling to make ends meet. It will mean nothing to the mother who cannot put food on the table, to the father losing all hope of finding work, the family who have to wave goodbye to their loved ones at Dublin airport. “The government is still pressing ahead with plans for water charges and a property tax – measures which will place even more of a burden on hard-pressed families. 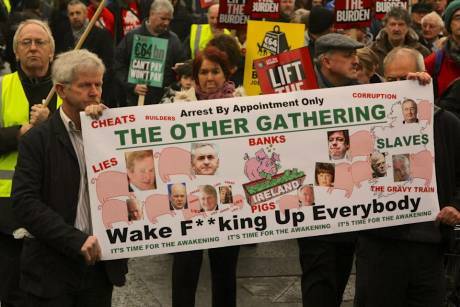 “These issues and more made today’s rally all the more important. “I hope that this will be the start of many popular demonstrations against the government’s reckless mismanagement of the economy. "The energy to take resistance forward to a point where the country is shut down for a day will probably come from wider social movements – as occurred in Spain. 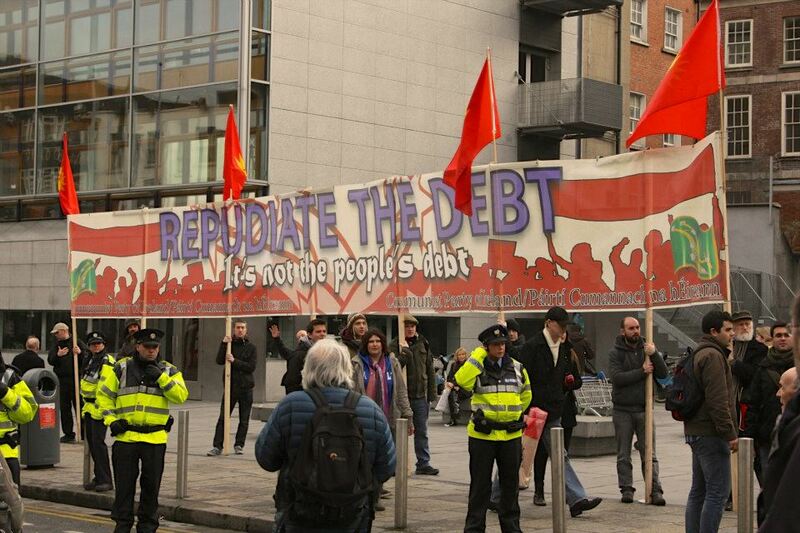 A national day of civil disobedience can bring together the growing movement against austerity and the increasing opposition to the waste of public money for these insane gambling debts. This would involve walk outs from colleges, schools, workplaces as well as occupations and sit downs on roads. Promoting and make concrete such a call should be a key task over the coming weeks. The government thinks it can contain demonstrations and marches such as we’ve seen so far so we need something different. In the longer run, the power to terrify the political establishment lies in the workplaces and so the call for a national day of action must be part of a wider process of encouraging workers to use their industrial muscle to bring change. 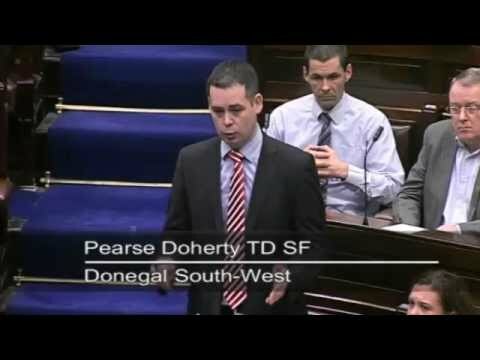 In July 2013, for example, PAYE workers will face the prospect of their wage packets being raided once again by the Revenue Commissioners to collect the notorious property tax. The more the movement builds up now to civil disobedience, the more likely it is that that grassroots of the union will remove or byepass that thin crust of union leaders whose primary loyalty is to the Labour Party when they see the effects of the property charge. There can be a general stoppage in Ireland – but it won’t come without effort. Good to see such a great turnout on the day,it is clear the will of the people is being ignored..
Now that the promissory note deal has been done there has been relentless media coverage of statements by the government that something has to be done about mortgage arrears. What this means is they want to start evicting people on a much wider scale now. 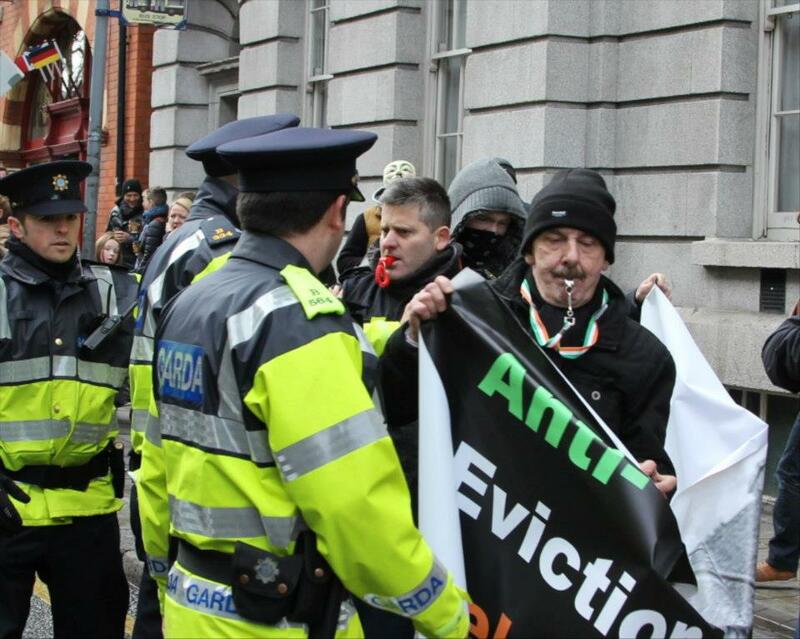 The harassment of the Anti Eviction Taskforce who intend to stop that are clearly now the targets of the State.